Encouraging the use of natural stone. 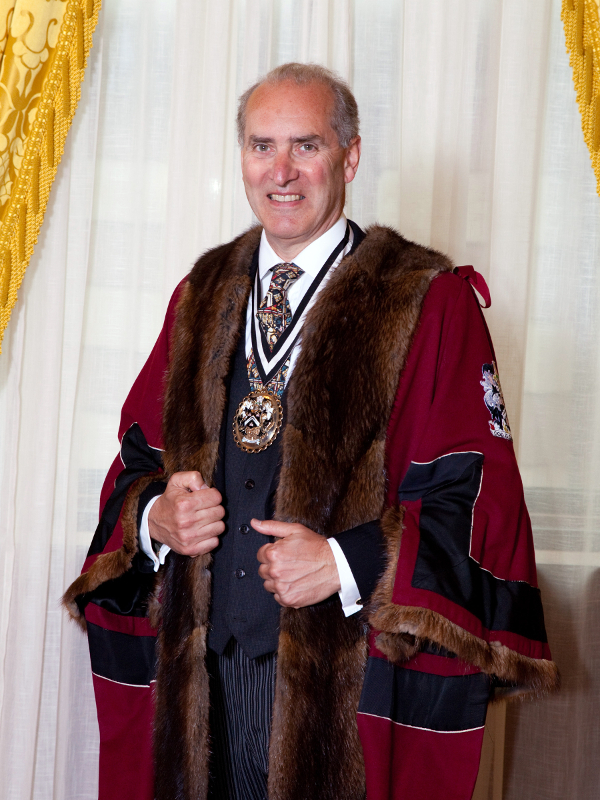 The Court controls the activities of the Masons’ Company under the guidance of a Master, Upper Warden and Renter Warden. Other members of the Court include several Past Masters and Court Assistants who have not passed the chair. The officers change at Common Hall (essentially the AGM of the Company) in June each year, the Upper Warden is elected up to Master, the Renter to Upper Warden and a Court Assistant is elected into the Renter Warden position. Volunteers on committees cover Finance, Craft & Training, Awards, Communications, Membership, Development Fundraising and Sponsorship and Social matters all of which report to the Court. We also run two independent charities the trustees of which are members of the Company. Andrew is an Architect and spent his career at Sheppard Robson As a Partner from the late 1990s until 2014 he lead the practice’s science and healthcare projects and worked with many of the UK’s leading universities. During this time Andrew co-founded the London Constructing Excellence Club and contributed to many industry-wide initiatives and committees. Today he acts as a consultant for Loughborough University, developing a new course in Architecture and is a lay member of the University’s Estates Management Committee. He also sits on the Georgian Group’s Casework committee. Andrew is married to Claire, is a keen cyclist and walker, and has twice completed the Camino de Santiago with two of his four sons. Andrew and Claire also collect 21 century ceramics, enjoy art and music and support education in architecture and the performing Arts. Chris is a retired stockbroker who started trading on the market floor and became a member of The Stock Exchange before “Big Bang” and finished his career as an investment analyst at Peel Hunt specialising in Small companies and miscellaneous corporate clients. 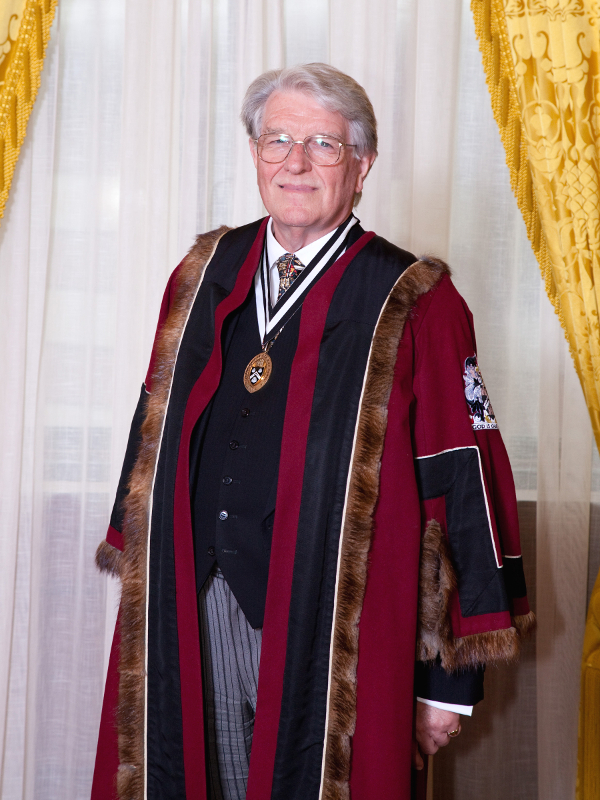 He interrupted his City career to dabble in politics, spending some time as research assistant to Rt Hon Sir Geoffrey Pattie, then MP for Chertsey & Walton, and standing for election to the now defunct GLC in 1977. Beyond the Company he has a broad range of interests, the foremost of which are freemasonry and family history research. He also enjoys taking his wife of 45 years to rugby matches (both are longstanding season ticket holders at Wasps) and cricket matches at Lords, where he is a member of the MCC. He is a member of The Nelson Society, his great hero being Admiral Lord Nelson. With a first degree in Geology, and a PhD in Materials, Christine served for several years as a Lecturer in Geomaterials at Queen Mary College, London University. Her main areas of research were the use of industrial waste materials as cement replacement in concrete, the durability of concrete, and the durability of building stone. Following a move to Kent she and her husband, Stephen, ran their Civil & Structural Engineering practice. 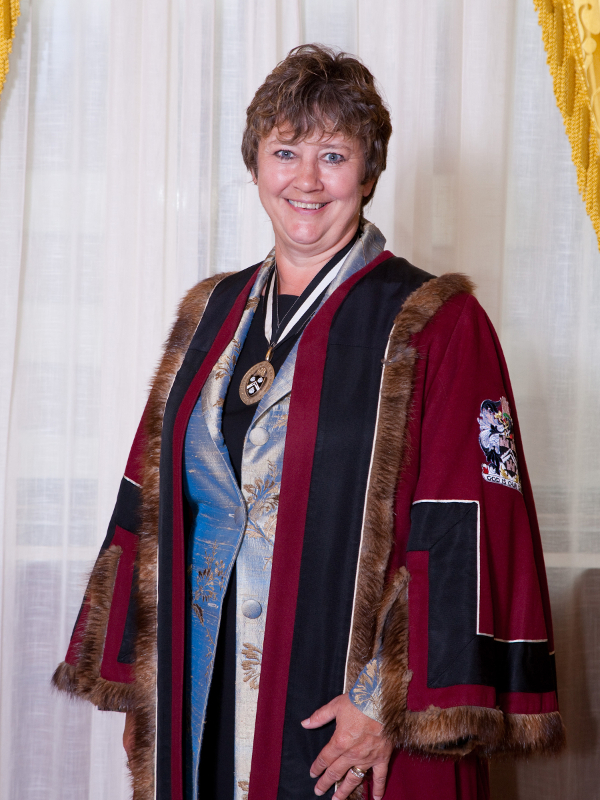 Christine has been involved in the Livery for over 25 years, serving as Master Constructor in 2009/10. She is also a Court Assistant of the Tylers’ & Bricklayers’ Company, served as non-Aldermanic Sheriff in 2015/16, and is involved in numerous organisations across the City. Now retired, Stephen & Christine enjoy sailing, having spent several summers cruising their Moody 47 in the Baltic, circumnavigating the British & Isles & Ireland, and the Biscay area. They live on their arable farm near Canterbury.